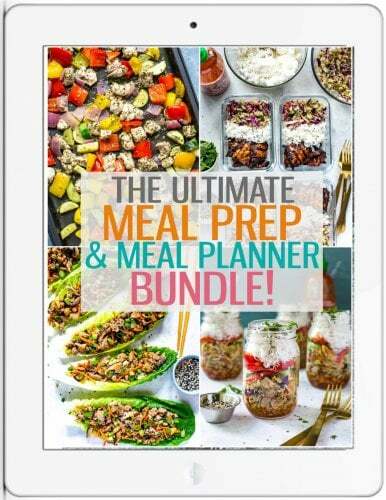 Okay guys, I've literally stumbled onto one of the most genius recipes I've seen in a while…get ready to have your mind blown! 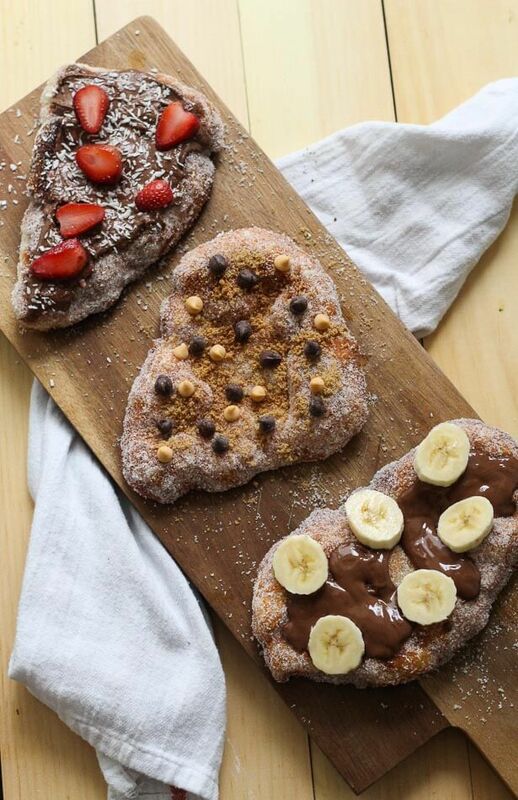 Here in Canada, we have these delicious pieces of sugared, deep-fried dough served with all kinds of crazy toppings. Crazy, I know, but they are the most addictive, guilty pleasure this country has going. And in true Canadian spirit, they're affectionately known as Beaver Tails. Now Beaver Tails are an actual chain of mobile trucks/food stations located across Canada at various tourist attractions, festivals and amusement parks. They have a food truck that frequently visits the University of Toronto (I'm guilty of sneaking one on my way to class!) but they are most known for their locations at Toronto's Waterfront, Canada's Wonderland and Blue Mountain ski hill in Collingwood. Those are the locations I'm familiar with in Ontario at least. 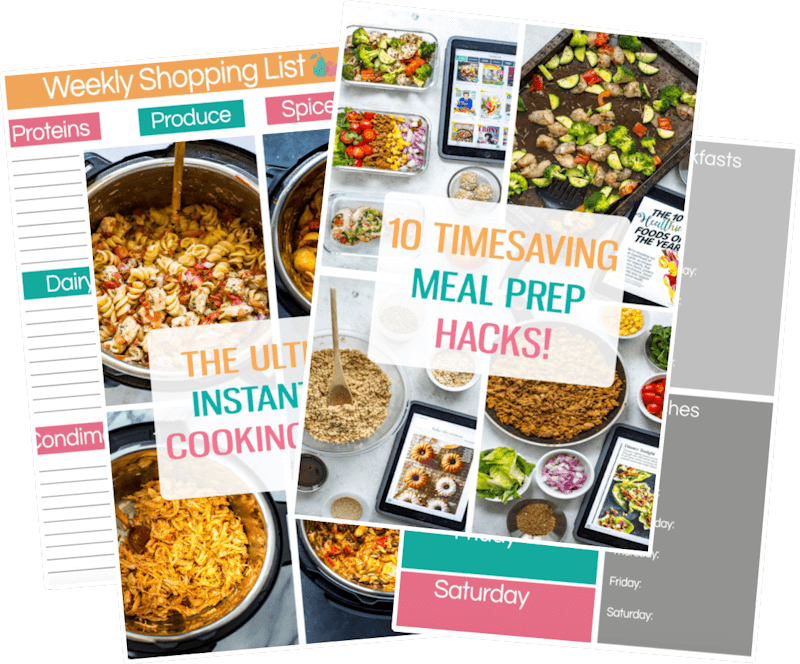 But honestly, who wants to spend that much time or effort trying to find the things, especially when they are that scrumptious and you can now make them from home? 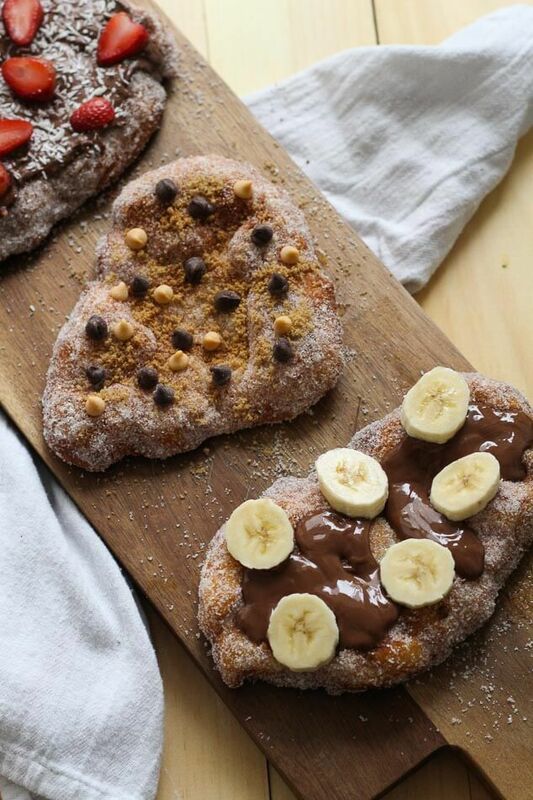 Now because Beaver Tails are high in calories (though not quite as high as a funnel cake…) they are usually enjoyed during special occasions and can be a fun weekend project if you're looking to try something new. Just be careful when sliding the dough into the hot oil, and don't cook them on either side for longer than 2 minutes! 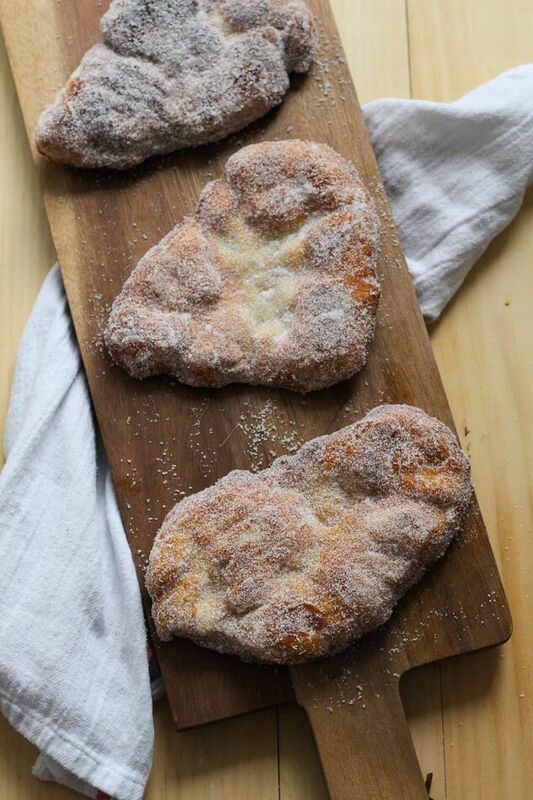 These Homemade Beaver Tails are a great idea for parties, relaxing at home and pretty much anywhere you can enjoy a handheld dessert (duhhh like…everywhere!!) So what are you waiting for?! 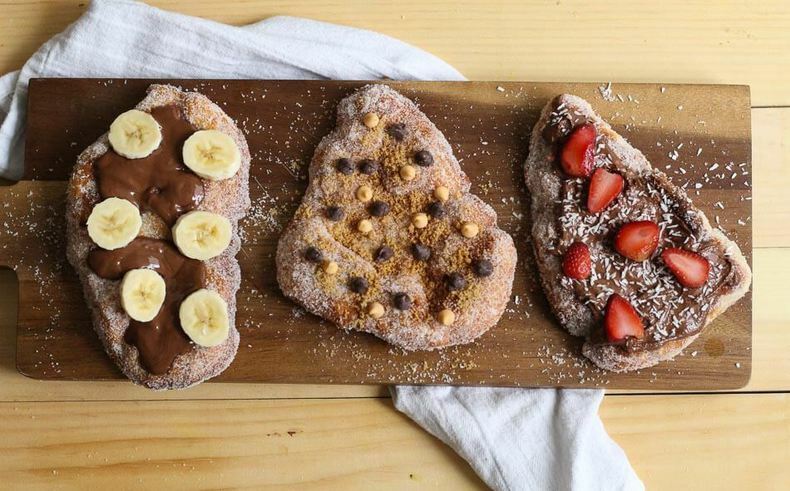 Slather some Nutella and crazy toppings on these babies and get eating! 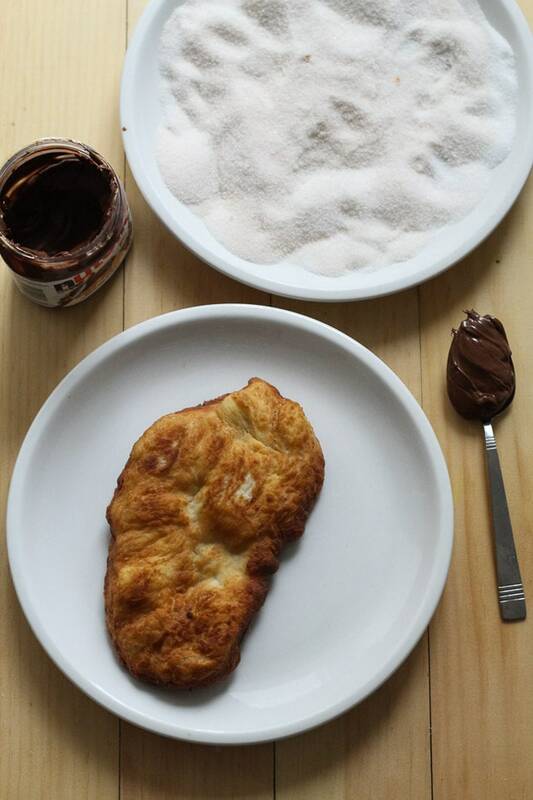 Will you be trying these Homemade Beaver Tails? We promise it's super easy with the help of some pizza dough! Any other candy you desire! 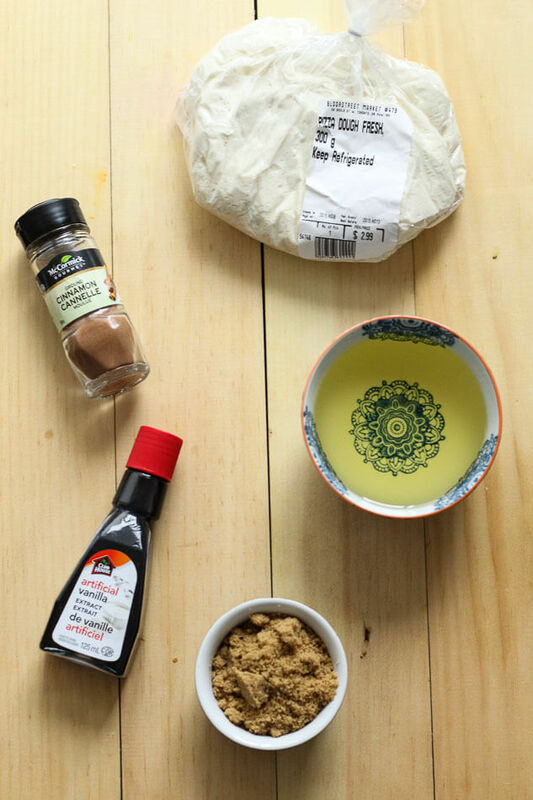 Add ingredients to pizza dough and tear apart and mix together in a large bowl. This will probably take a while, but just do your best to get it all mixed together. 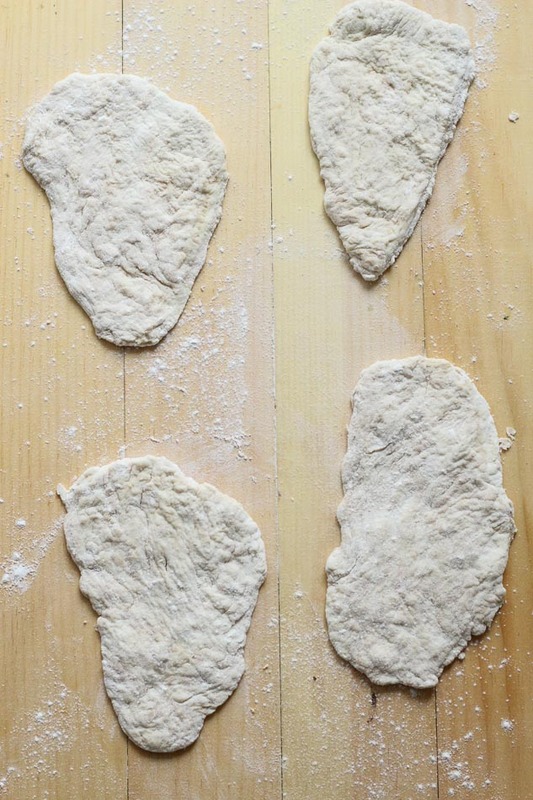 On a heavily floured surface, roll out your dough so that it is about a 1/4-1/2 inch thick. Using a knife, cut dough into 4 pieces and then use the knife to cut the dough (this step is optional and only for aesthetic reasons) so that the dough forms the shape of a beaver tail (basically a long, oval shape). In a large, deep frying pan or a large pot, pour in about half of a bottle of sunflower/canola oil. Basically, you want to make sure it's deep enough for the beaver tails to be submerged. Take a small piece of flattened dough and put it in the oil. You'll know when the oil is hot enough when the dough floats to the surface and starts to cook. Remove the piece of dough at this point and add a larger piece of dough, cooking for 2 minutes each side. Set your stopwatch on your phone to ensure precise cooking times, and only cook one to two beaver tails at a time in the oil. Of course, be careful when cooking around hot oil as well. Meanwhile, combine a plate full of sugar with cinnamon and stir to combine. When the first beaver tail is done, use a large slotted serving spoon to remove it from the pan and let it drain on a paper towel lined plate for about a minute. Transfer to sugar plate, coating on all sides. Um..I try not to eat gluten but I would cheat just to eat these!! YUM!! My fiancee is from Toronto and introduced me to these delicious things. Thanks for the recipe! I have never even heard of Beaver Tails but these look delicious! Can’t wait to try them! I’ve never in my life heard of a beaver tail, but this looks ahmayzing! I know these as elephant ears. I have not had them since as a child. Thank you for the recipe. I made pizza dough and might have some left over, but I’m not sure what “a bag” of pizza dough is, weight/measurement-wise. Is it a pound, roughly? Hey Mary Kate – so sorry for the delay in response. I’m honestly not sure what the weight is, sorry about that! You can use up whatever pizza dough you have on hand though, you just break off little bits to make the fried dough circles so you have some flexibility!